Retirement is usually not the best time to own a second mortgage but a surprising percentage of Americans are keen on buying a vacation home for use in retirement. It seems to be a questionable financial move but there are a lot of people who see the value in having a second home in times of retirement. In fact, MSN shares that about 41% of Americans want to buy a second home in retirement. It is unheard of in terms of financial management because the goal is to stay out of debt as you get older. You do not go chasing debt payments much more something as big as a second mortgage. There are even a lot of finance professionals telling older consumers that they need to pay off their mortgage loans before they retire. So why is buying a vacation home one of the top goals of retirees? For one, a lot of parents dream of spending quality time with their children. It can be during school holidays or summer vacation. They can take their children mountain biking, hiking, river rafting, boating or even sledding during winter break. These could be some of the things you wish you can do with your kids in your vacation home. 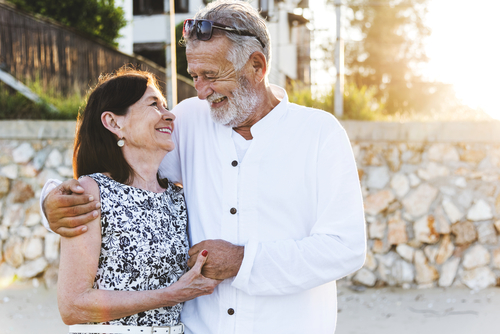 If you are bent on getting a vacation home you want to enjoy in retirement, there are a few things you need to consider. It is a very complex decision-making process but the last thing you want to happen is stretching out yourself and your finances too thin and miscommunicating with your partner. You might be thinking of heading out to the mountains and she is thinking of the beach. The idea of buying a vacation home can be a great idea but it is one that needs a lot of forward planning. You can’t just base everything on a piece of poster, an online ad, a tv commercial, or even what your friends tell you. You need to make sure that you are making the right decision. Not only about the property but even the surrounding community as well. If you are thinking of buying and moving into a beachfront home, make sure that you have stayed within that vicinity before buying a property. Do not only go on when the sun is out, have a sense of the place when bad weather takes over the place. It can give you an idea on potential repairs and maintenance the property needs all year round. If you plan to live in an RV when you retire and travel to different places in the country, it is best to rent an RV first. Have a feel of how it is to live in one for days or even weeks at a time. This will help you understand if it is really the life you want. If you are bent on buying a vacation home for retirement, practice due diligence before you make that downpayment on a property or RV. There are people who believe they just want to buy a property near the beach and live out their retirement sipping a cold drink under the hot sun. However, there will be times when you would yearn social interaction. You could start looking for old friends back home whom you can reminisce old times with. It is also possible that you start wanting to spend time with your own children and especially your grandkids. When you are in the middle of buying a vacation home, take into consideration your proximity to family and even friends. There will be times when you want to see them and it might not make sense to buy homes which are thousands of miles away. You would be making additional expenses on travel and it could hurt your retirement savings. One thing you need to remember when making plans for the future is to consider what your situation will be like at that time. You might be buying a house deep in the mountains, a ranch far from the city, or even a house in a remote island because you can make the travel now. It is easy to want to live in these places but what happens when you can no longer drive in the future. It can be sickness, a medical condition, or even just old age. The fact of the matter is that you will get old and driving your own car will be a challenge. When you cannot drive, you lose a certain amount of independence. You would then be forced to rely on rides from relatives or friends. When buying a vacation home, it is a good idea to identify homes which are walking distance to public transportation and even stores. It is also a good idea to look for and identify quality hospitals and medical providers in the area. Is buying a vacation home a good investment in retirement? This is actually a good question but you need to define first what investment means for you in retirement. It could work as a financial investment if you can sell at a profit considering not only the appraised value but everything else you put into the house. The repairs, improvements and any other expense. If you look at it as a lifestyle investment and having the opportunity to spend quality time with the people that you love, you might come out on top. Besides, the property could have an insignificant amount when you percentage it out from your net worth in the future. This means the value of your property will be a whole lot more on a personal standpoint if you are able to use it to form meaningful memories with people that matter to you. One thing you carefully need to consider is where you will get the money to pay for the mortgage on the second house while in retirement. If you simply plan to depend on your savings and you know you are already running a tight budget, it will just be a matter of time before you start to miss your payments and probably lose the house. Once this happens, you lose everything you have put into the house. This is the first thing you need to consider when thinking of buying and maintaining a vacation home in retirement. If you can afford, then why not? If you really want one but have no idea where to get the monthly payments and maintenance for the house, think things through. Can you have it rented on months when you are not there? Can you start a passive income business to pay for the house? The thought of buying a vacation home for retirement is a popular one for older people and it takes a lot of planning. You do not want to be caught up in the payments where you put your retirement savings o jeopardy simply because you wanted a second home. Think about how you will use it, pay for it, and if your family can make the most out of the property. If you can make it work, it would be a great way to spend your retirement years being in a place that you love.